~ makes enough for 2. Heat the oil on a low to medium heat in a medium sized cast iron casserole dish (or anything that will both go on the hob and withstand the heat in the oven). Add the onions and cook till transulcent, then add the garlic, carrots and mushrooms. 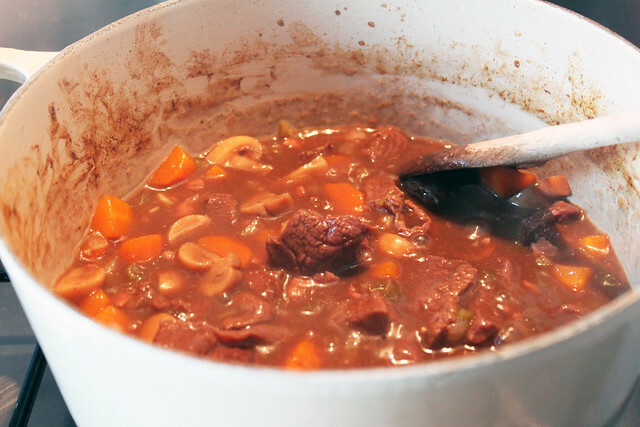 In a separate frying pan brown the venison – in batches if necessary – when finished add to the casserole. Add the wine, I don’t tend to drink red wine so I never tend to have it in the house. Instead I keep a bottle of Port for cooking, I don’t buy the cheapest bottle but I certainly don’t buy an expensive one. This means that I always have red wine handy for recipes making up the amount of using half port half water. Crumble the stock cube into the water, and add the plum jam (or redcurrant jelly) stirring it to help it dissolve. Pour into the casserole. Season using salt and pepper (I tend to avoid salt, as store bought stock normally has enough for me). 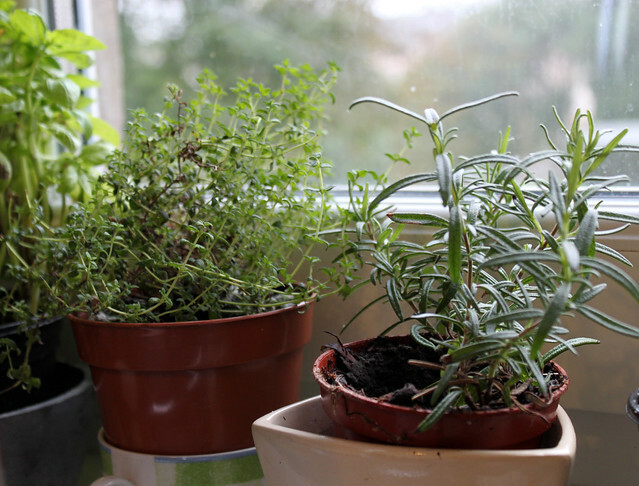 Add sprigs of thyme or rosemary, this is not strictly necessary but since I grow my own it is so cheap I rarely avoid using these herbs! Put the lid on the pot and once boiling, remove from heat and place it in the over for 1 and 1/2 hours. Remove from the oven, if the sauce is too runny add some cornflour to thicken it. To do this I normally ladle out some of the sauce stir the cornflour into it (usually a teaspoon or two at a time), then adding it back to the pot. Stir in under a medium heat. If after a couple of minutes it still does not look thick enough repeat. (I have never needed to so this more than twice). Serve with potatoes and veggies.